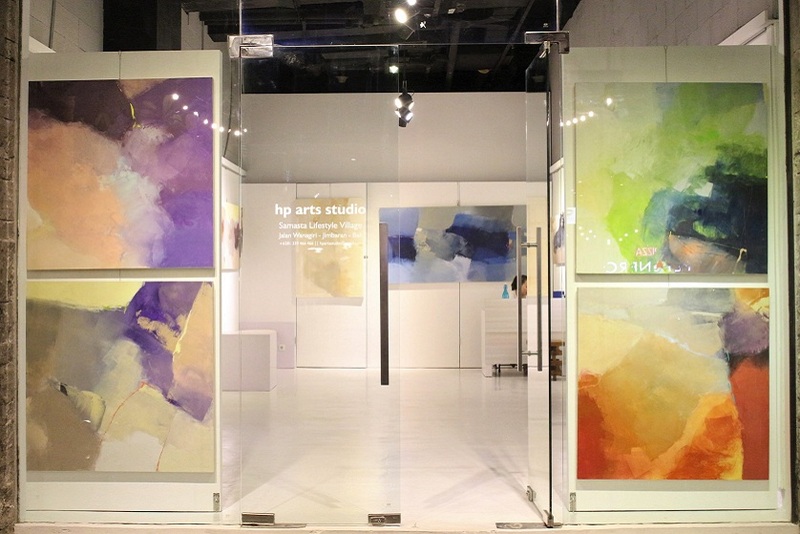 A new splash of colors at Samasta Lifestyle Village as we add a unique addition - HP Arts Studio by Hengki Pudjianto last Satuday September 22nd. 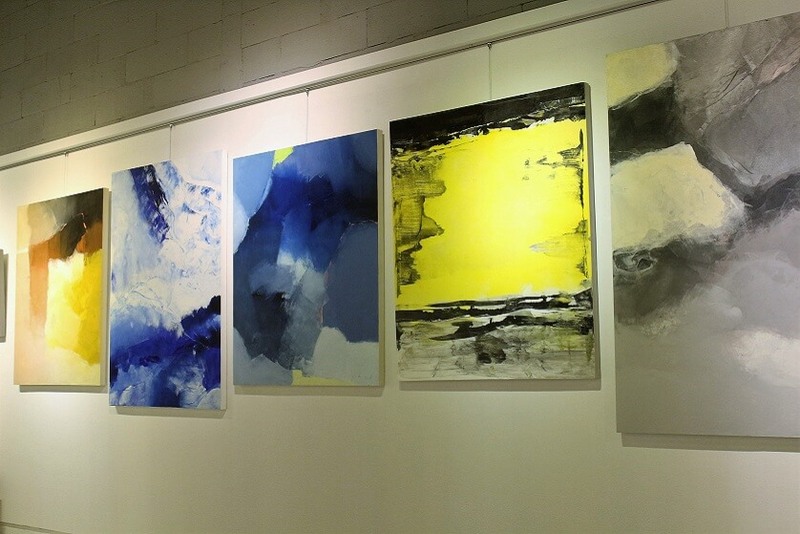 Colorful and intimate abstract pieces gracing the white walls present a beautiful contrast in this sleek gallery and you can also get the chance to meet and communicate directly with the man behind the art and his beautiful wife. Having talked briefly with them, we found out immediately that this artist is the fine example of a man who relentlessly pursue his passion. 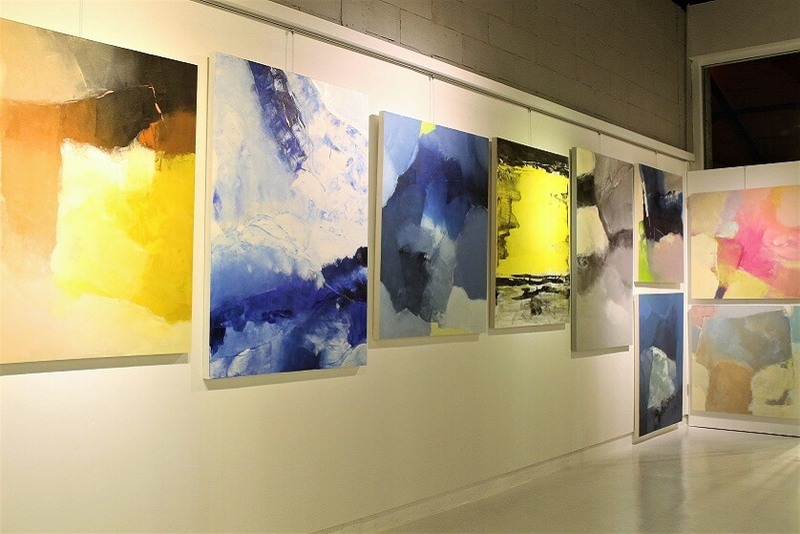 This is a man who has been in love with painting since he was in high school and with no formal education in Arts, he has been consistent in creating through this medium. Every moment in his life lead him to his dreams. From the time he decided to keep on painting and make a living in Germany, then moved to Bali in 2001 and to establish an art studio and gallery, to having succeeded in opening one in Ubud and relocated it to Seminyak, he now can open another one at Samasta! All resulted from his persistence. 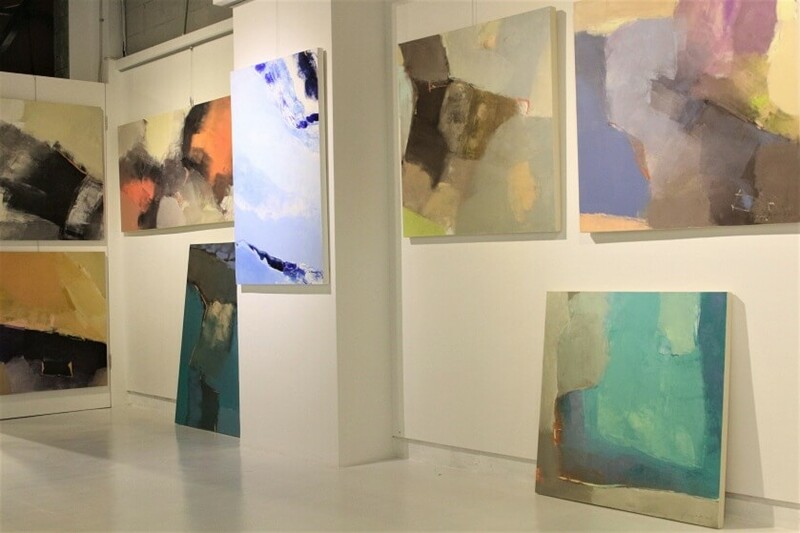 His work is loved by many especially by art enthusiasts and buyers from overseas and he himself has lead solo exhibitions all over the world from Australia, Hong Kong, London, Paris and Dubai.